Today it seems there is an app for almost anything. Finding out which apps are worth purchasing and which apps are worth overlooking can be difficult. This is where our recommendations come in handy. By following our recommendations you'll experience less buyer's remorse. All of these apps come highly recommended by our educator Matthew. Mobile friendly webpage, best viewed on a computer screen or tablet device. New iPad apps added on the 13th March 2019. Fitzroy Readers Series (1-10) | Phonetic approach to reading. The app can sound out words and can read pages. Teaches basic vowel sounds a,e,i,o,u and some special words like I, have, to, go, for etc. Fitzroy Readers Series (1x-10x) | Phonetic approach to reading. The app can sound out words and can read pages. Extension work that builds on from the sounds established in readers 1-10. Fitzroy Readers Series (11-20) | Phonetic approach to reading. The app can sound out words and can read pages. Teaches new digraphs (sh and er) and introduces three letter digraphs. Fitzroy Readers Series (21-30) | Phonetic approach to reading. The app can sound out words and can read pages. Introduces newer digraphs such as ch. Fitzroy Readers Series (41-40) | Phonetic approach to reading. The app can sound out words and can read pages. Introduces long vowels a_e (cake, bake, rake). 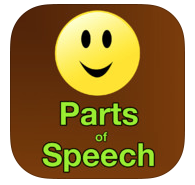 Parts of Speech in English Grammar- this app gives you all of easyLearn's grammar apps. Purchase this one instead of the individual apps. Punctuation - finally an app that does punctuation well. This app has some great quizzes to really test your punctuation skills. Visual Poetry - type your poems into this app and select one of the background templates. This app then 'moulds' your words to fit around a shape such as a snowflake, star or flower. 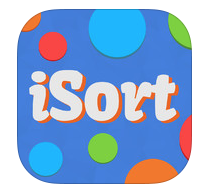 iSort Words - a brilliant app for learning about rhyming words. Highly recommended for early primary school students. 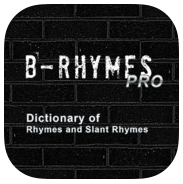 B-Rhymes Dictionary Pro - stuck with rhyming words? Then use this great app to come up with additional rhyming words in no time. School A-Z - a great reference list for teachers & parents. Contains an extensive list of information about English and Maths. It also has a couple of cool English and Maths games as well. 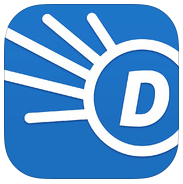 Dictionary.com - one of the best dictionary apps available on the app store. MindNode - one of our favourite mind mapping programs. No monthly fee or annual fee unlike some OTHER mind mapping apps. 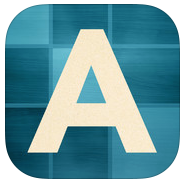 Scrabble HD - a great app for a quick 'five minute filler' in your classroom. 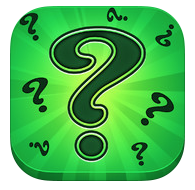 Riddle Me That - another great app for a quick 'five minute filler'. Endless Wordplay - a set up in difficulty from Endless Reader. Great for pre-primary students. Endless Reader - one of the best reading apps for young children. 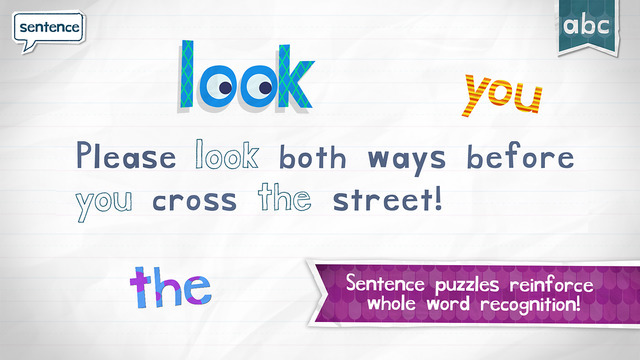 This app teaches important sight words in an entertaining and creative manner. Highly recommended! Endless Alphabet - another app from the team that brought you Endless Reader. This app in their series focuses on vocabulary building. Letter School - one of the best letter formation apps. 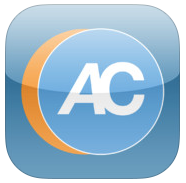 This app will definitely hold your students interest! Intro to Letters - a good letter formation app for kindergarten and pre-primary students. iWrite Words - another decent letter formation app for kindergarten and pre-primary students. Quick Maths Junior - a great app for years K-1. This app helps teach the early maths concepts of: counting, skip counting, subitising, ordering numbers, addition & subtraction. Endless 123 - Endless 123 uses the same winning formula as Endless Reader & Endless Alphabet. 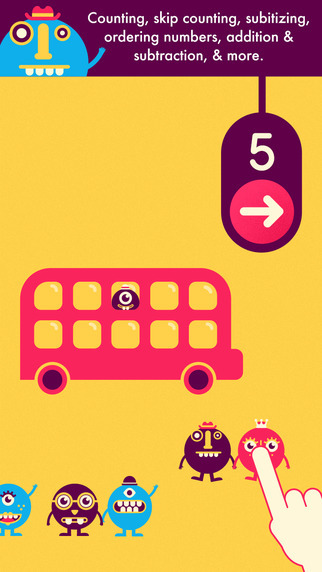 This app helps reinforce: number order, counting, addition along with other concepts. Duolingo (Spanish, Italian, German, Portuguese & French) - the best language app on the market! RIDBS Auslan Tutor: Key Signs - learn the key hand signals & movements of Auslan. Google Translate - instantly translate another language from a smart phone camera, text or your voice. The Elements by Touch Press - one of the best visual representations of the periodic table! Contains many examples of real life applications for each element. Very informative and beautifully presented. 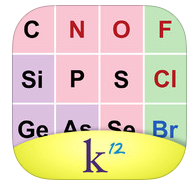 K12 Periodic Table (k12 Inc.) - a quick reference guide for the periodic table. Very useful for when you need to find the atomic number or atomic mass of an element. Molecules by Touch Press - learn all about the different combinations of atoms that are possible. 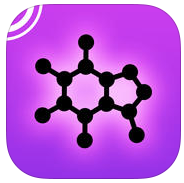 App beautifully displays 3D representations of various molecules. 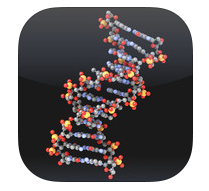 Molecules - see 3D visual representations of molecules. An excellent resource for studying the atomic compositions of molecules. Wolfram Alpha - the best reference guide for high school science students. 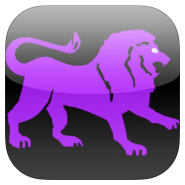 This app also contains information about history, economics, physics, music, engineering and many other topics. Elements Quiz (Tap to Learn) - test your knowledge of the periodic table. Great for year seven and year eight students who need to learn the symbols of the periodic table. 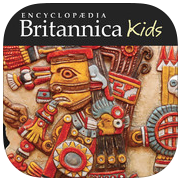 Encyclopaedia Britannica (Aztecs) - an excellent educational resource about the Aztecs. 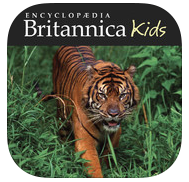 Encyclopaedia Britannica (Rainforest) - an excellent educational resource about the Rain-forest. Encyclopaedia Britannica (Dinosaurs) - an excellent educational resource about the Dinosaurs. Encyclopaedia Britannica (Snakes) - an excellent educational resource about Snakes. 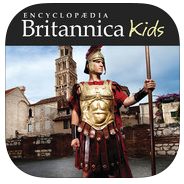 Encyclopaedia Britannica (Knights & Castles) - an excellent educational resource about Knights & Castles. 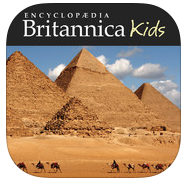 Encyclopaedia Britannica (Ancient Egypt) - an excellent educational resource about Ancient Egypt. Encyclopaedia Britannica (Volcanoes) - an excellent educational resource about Volcanoes. 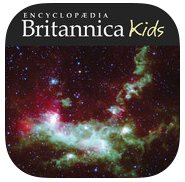 Encyclopaedia Britannica (Solar System) - an excellent educational resource about the solar system. Encyclopaedia Britannica (Ancient Rome) - an excellent educational resource about Ancient Rome. CIA Factbook - a comprehensive encyclopaedia of information about every country. The Australian Constitution (Ben Kramer) - a great reference guide for political and legal students. World Atlas (National Geographic) - one of the best atlases available on the App Store. 50 Greatest Photos (National Geographic) - show your students some of the best photographs ever taken & the stories behind them! Earth (easyLearn) - an informative app about the Earth. Lots of great quizzes. Rocks & Minerals (easyLearn) - great for learning about sedimentary, igneous and metamorphic rocks. Gems & Jewels (Touch Press) - a beautifully designed app about precious gems and jewels. 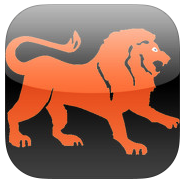 World Mania - the best app for quizzing students on capital cities, continents, currencies and flags. World Continents (Montessori) - a simple yet effective app. Great for early childhood teachers. 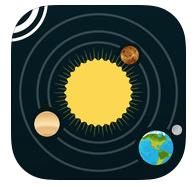 Solar System (Touch Press) - a beautifully designed app that explores our solar system. A lot of work has gone into this outstanding app. Solar Walk (Vito Technology) - brilliant for viewing the orbits and rotations of planets. You can explore all of our solar system's planets, their moons along with other things. 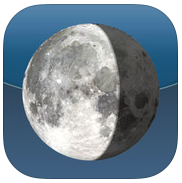 Moon Phase - learn the phases of the moon with this excellent app. One of the better apps that teaches about the phases of the moon. Star Walk 2 - an updated version of Star Walk. Absolutely gorgeous graphics. You can use your iPad as guide to the constellations. The best tour guide to the heavens that money can buy. Hubble Top 100 (European Space Agency) - explore some of the best space photos ever taken. A truly amazing app. PhotoMath - use your iPhone to work out problems and equations! MutliFlow - the best multiplication app available on the App Store! Multiflow contains lots of games which are highly customisable. DivisionFlow - a great division app. FlowPlus - a great addition/subtraction app. Math Board - a highly configurable app for addition, subtraction, multiplication and division. Quick Maths - a great app for the learning the four operations. 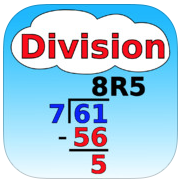 Division (Horizon Business) - an easy step by step demonstration of long division. Multiplication (HorizonBusiness) - an easy step by step demonstration of the traditional multiplication algorithm. 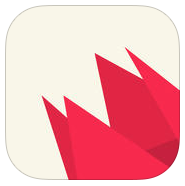 Shapes - easily the best geometry-based app available on the app store. Shapes beautifully displays 3D: prisms, pyramids and plutonic solids and is perfect for teaching about: vertices, edges, faces and different net combinations of objects. Jungle Geometry - once again, one of the best measurement apps available on the app store. Jungle Geometry has games for: measuring the length of a ruler, measuring the degrees of an angle, quizzes on the different types of angles plus many other games/quizzes. Calculator for iPad - the best calculator on the iPad. This app contains every function that you would normally expect to find in a scientific calculator. My Script Calculator - write complex equations with your finger instead of typing. Working out the area of a circle has never been easier. Jungle Coins - excellent for learning about comparisons of money and receiving change. MathDoodles - a Maths app made with passion. MathsDoodles has lots of games which are highly customisable. Great for learning about partitioning. 2048 - an addictive number based game about doubling. More fun based than educational. NumberLine 2 (Todd Bowden) - a challenging fraction number line app. Watch your smartest students crumble under the difficulty of this app! Converting Fractions, Decimals and Percentages - another great app that covers equivalent fractions, decimals and percentages. 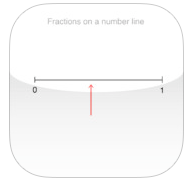 Fractions on a Number Line - a simple app for a very important fractions concept. 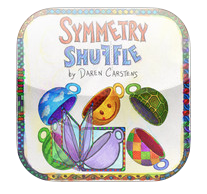 Symmetry Shuffle - one of the best symmetry apps on the App Store! Excellent for teaching about translations, flips and rotations of 2D objects. Jungle Time - one of the best time apps on the market! More orientated towards younger children. 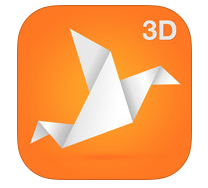 Shapes - the best app for demonstrating about 3D shapes such as: pyramids, prisms and other objects. 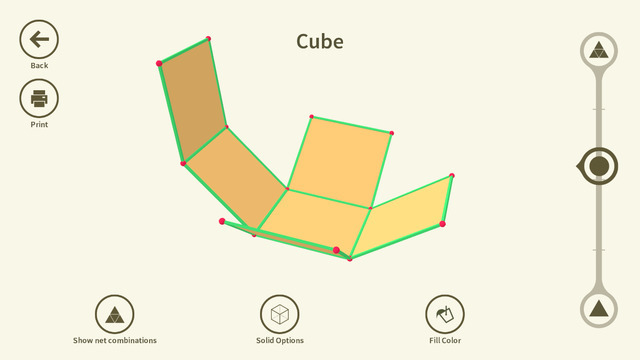 This app helps show: the different net combinations, faces, edges and vertices of each 3D shape. LetsTan Tangrams - 100's of tangram puzzles. iCell - explore 3D models of animal, fungi and plant cells. Excellent for students studying Biology. My Incredible Body - shows excellent 3D animations of the human body. 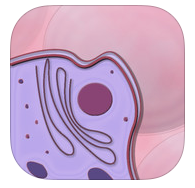 One of the best apps for teaching about the human body. Simple Machines (easyLearn) - a great resource for learning about simple machines. 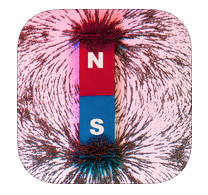 Magnets (easyLearn) - a great resource for learning about magnets. Art Authority - an outstanding reference guide to all of the major styles of art. How to Make Origami - get this app running on a projector and get your whole class making origami. A very addictive app that is also easy to follow. Papercrafts (Minecraft nets) - make fascinating Minecrafts nets. AITSL - The Australian Institute for Teaching and School Leadership. Great for assisting in creating your teaching portfolio. The Australian Curriculum - Mobile Edition. Tax Buddy - a brilliant app for all those tax deductions. Highly recommended! ShowMe - turn your iPad into your own interactive whiteboard. App also allows you to record lessons. Noise Down - Need your students to be quiet during silent reading? With Noise Down you can set a noise level threshold limit. If the noise threshold limit is broken then the alarm goes off. Great for assisting in creating a quiet classroom environment.